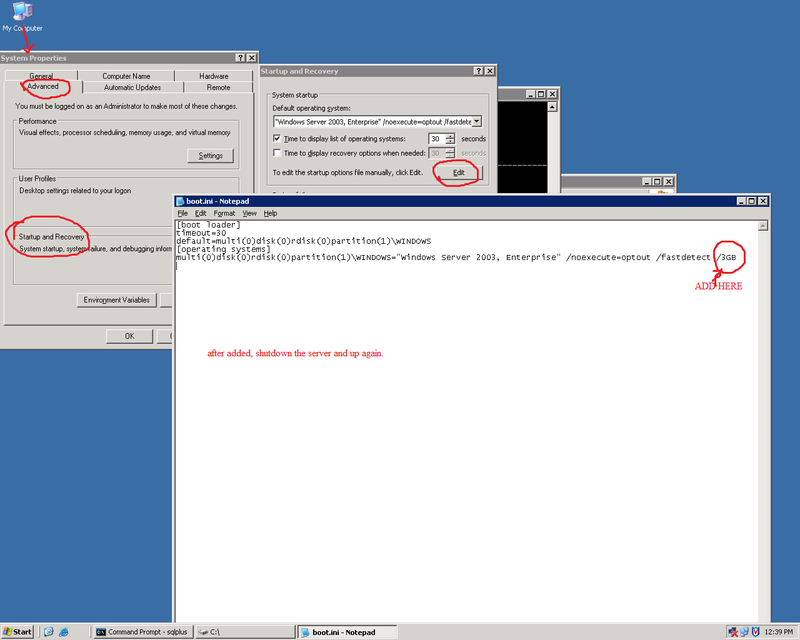 When i tried to test the validate archivelog files using rman , It shows following errors. So that I checked the log sequence staus using sql plus. It shows the log sequence was deleted from 69 to 219.It may be deleted like manually by OS or crosschecked when those log sequence expired . The above command showed which log sequence was backedup.So you can use to restore from those logs. But when I trying to use the first command as database open stage,It doesnot show those deleted files validation. Yesterday evening, When i tried to increase my SGA size in Oracle 9i on 32 bit Windows server 2003, It shows ORA-27101: shared memory realm does not exist and Out of memory.I am aware of this error. I tried to fix this error like I just added 3gb switch on boot.ini file and then I just shutdown the server and up again. the database working properly. where you can find this boot.ini file on windows server 2003. Note : windows 2000 not applicable. After added 3gb switch, I can increase SGA max size manually and other components of SGA size also. What is 3gb switch and How to set up? Hi, This video described about How to configure ASM on your newly creating database, Here I have created five disks and one disk groups. 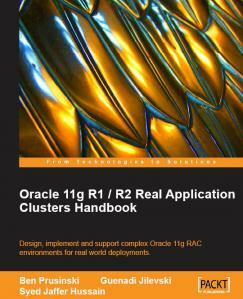 Recently I was reviewed one of the outstanding book, that book name is ” Oracle 11g R1/R2 Real Application Cluster HandBook”. This book clearly explained about Oracle High avilabilty system and explained about Business Continous Process , What necessary we need for disaster recovery and Downtime of database duration and what is the loss of if database is down and Step by Step Installation guide. Here I want to mentioned , you can easily make your Oracle RAC setup using this step by step guide without help others and then this book additionaly cleared about ASM and Troublshooting RAC and RAC management and then this book also explained about RMAN backup and Recovery feature and more. I hope this book is very usefull for who are willing to start Oracle RAC carrier and then I highly Recommand to buy this book and Enjoy it.